BMX-IN-1 is a selective, irreversible inhibitor of bone marrow tyrosine kinase on chromosome X (BMX) that targets Cys496 in the BMX ATP binding domain with an IC50 of 8 nM, also targets the related Bruton’s tyrosine kinase (BTK) with an IC50 value of 10.4 nM, but is more than 47-656-fold less potent against Blk, JAK3, EGFR, Itk, or Tec activity. PCI-29732 is a selective and irreversible Btk inhibitor with IC50 of 8.2 nM in a FRET based biochemical enzymology assay. (R)-Zanubrutinib is the R enantiomer of Zanubrutinib. Zanubrutinib is a selective Bruton tyrosine kinase (BTK) inhibitor. 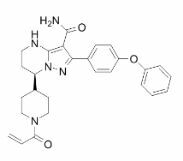 Zanubrutinib is a potent, selective and orally available Bruton's tyrosine kinase (Btk) inhibitor. 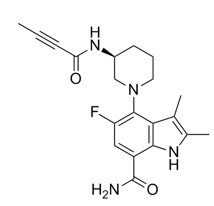 Vecabrutinib, also known as SNS-062; FP-182, BSK-4841 and BIIB-062; is a potent, noncovalent, reversible BTK inhibitor that inhibits signaling through the BCR pathway. 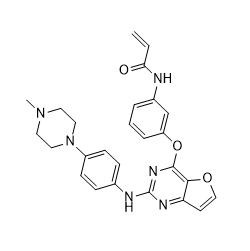 BMS-986142 is a potent and highly selective reversible inhibitor of Bruton's tyrosine kinase (BTK) with an IC50 of 0.5 nM. BMS-986195 is a potent, covalent, irreversible inhibitor of Bruton’s tyrosine kinase (BTK), with an IC50 of <1 nM. 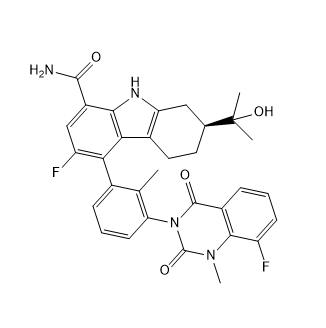 ARQ-531 is a potent and orally active BTK inhibitor with potential antineoplastic activity. Btk inhibitor 2 is a Bruton's tyrosine kinase (BTK) inhibitor extracted from patent US 20170224688 A1. 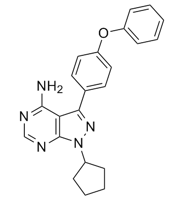 Poseltinib, also known HM-71224 and LY3337641, is a tyrosine kinase inhibitor.